SAN ANTONIO, Texas, and SEATTLE, Wash., April 25, 2008 — AT&T Inc. (NYSE:T) and Starbucks (NASDAQ:SBUX) today announced the beginning of the rollout of AT&T Wi-FiSM service at company-operated Starbucks stores, kicking off a nationwide effort that will continue through 2008. At the 2008 AT&T Inc. Annual Meeting of Stockholders in San Antonio, chairman and chief executive officer Randall Stephenson announced that the companies have already started the deployment of AT&T Wi-Fi service at Starbucks locations in San Antonio, making it the first market to deliver the complete AT&T Wi-Fi experience in the U.S.
Also, as of May 1, qualifying AT&T high speed Internet and Wi-Fi customers will have complimentary Wi-Fi access at more than 7,000 Starbucks locations nationwide. For millions of AT&T customers, that means more speed in more places — and for free — is on its way. "We continue to build on the experience we know our customers expect from us," said Chris Bruzzo, chief technology officer, Starbucks. "By partnering with AT&T as our U.S. Wi-Fi provider we aim to deliver a better value, greater convenience and seamless connectivity in a mobility centric world to our customers." As of May 1, qualifying AT&T customers can connect to the Internet from Wi-Fi enabled company-operated Starbucks locations nationwide by simply selecting "ATTWiFi" after powering up their computers. Free AT&T Wi-Fi service is currently offered with AT&T's three higher-speed residential broadband packages, all small business broadband packages and with all AT&T U-verseSM offerings with high speed Internet service. 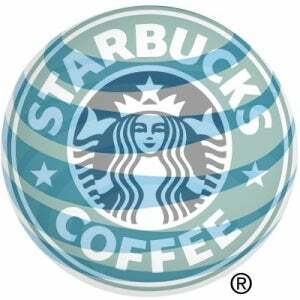 For other customers, AT&T Wi-Fi service will reach company-operated Starbucks locations on a market-by-market basis throughout the year. The experience will include a mix of free and paid connection options for both frequent and occasional Wi-Fi users and qualifying Starbucks customers. Once AT&T Wi-Fi service is available, customers will be able to shop and surf both Starbucks' and AT&T's respective home pages for products and services. The initiative brings together two of the most recognizable global brands to create a powerful and convenient online experience for consumers and business customers. The San Antonio launch delivers on the companies' joint commitment to begin the rollout of AT&T Wi-Fi service this spring.